Great Bay, St. Martin (November 8, 2016)—Gone are the days when a territorial, regional, or international conference on education, culture, media, tourism or such related subject areas could be held in St. Martin without a single writer or serious book from the island being available for conference-goers to interact with. At least that’s what it looked like at the recent exhibit of over 40 book titles published in St. Martin and managed by Odele Anderson, a senior member of the St. Martin Book Fair Committee. 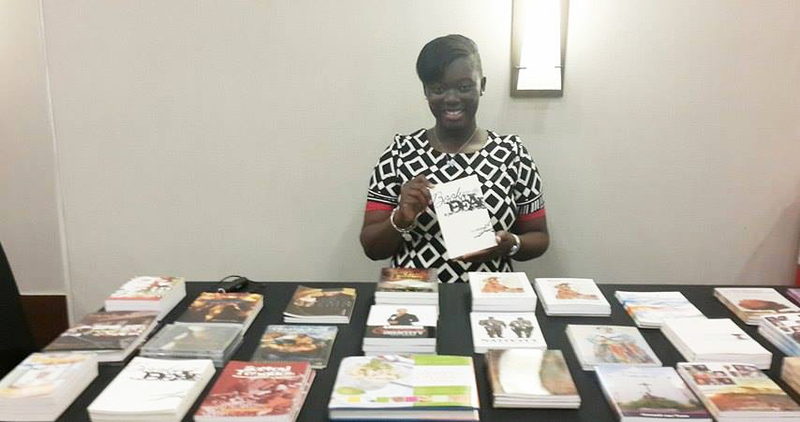 The book exhibit was featured at the 16th annual International Conference on Caribbean Literature, November 2 – 4, 2016. The conference was a collaboration of Morehouse College and the University of St. Martin at Maho Sonesta Conference Center. Most of the books were about St. Martin and the Caribbean and published by House of Nehesi Publishers (HNP). Internationally known authors such as George Lamming, Tishani Doshi, Amiri Baraka, and Nidaa Khoury authored some of the titles that were available for conference participants, said Jacqueline Sample, HNP president. St. Martin books Brotherhood of the Spurs and Nativity/Nativité/Natividad were also cited in conference papers by St. Martin and visiting scholars such as Dr. Rhoda Arrindell and Dr. ChenziRa Davis-Kahina, said Sample. The three St. Martin writers that took the initiative to be on hand daily to exhibit and sign their own books were Felecita Williams, Darren Wilson, and the island’s newest author Ralph Cantave.